The paper deals with the organization of surface waters observation systems. The analysis of equipment intended for automatic data collecting without human interference is performed. Standalone recorders (loggers) for logging temperature, surface water level and salinity are tested. Performance characteristics of Solinst Model 3001 Levelogger Edge, Solinst Model 3001 Levelogger Junior, Solinst Model 3001 LTC Levelogger Junior are given. The data collector for receiving data from loggers is presented. The plan to implement a wireless system sending data from the standalone recording device to a processing centre is considered. Using this approach, it is possible to deploy a surface water observation network over a large area and collect data online. The high sensor reaction rate may help monitor the status change at the frequency ranging from a second fraction to 99 hours. This gives new opportunities for hydrosphere surface research. Keywords: monitoring, rivers, surface water, pollution, water, equipment, sensors. Sharapov R.V. 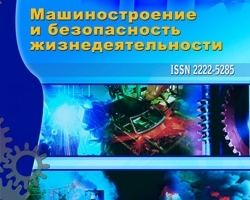 Perehod ot tehnicheskih k prirodno-tehnicheskim sistemam [The transition from the technical to the natural-technical systems]// Mashinostroenie i bezopasnost’ zhiznedejatel’nosti [Engineering industry and life safety], 2012, № 2. – P.43-46. №2 (20) 2014, Organization of automatic surface waters observation, Sharapov R.V.